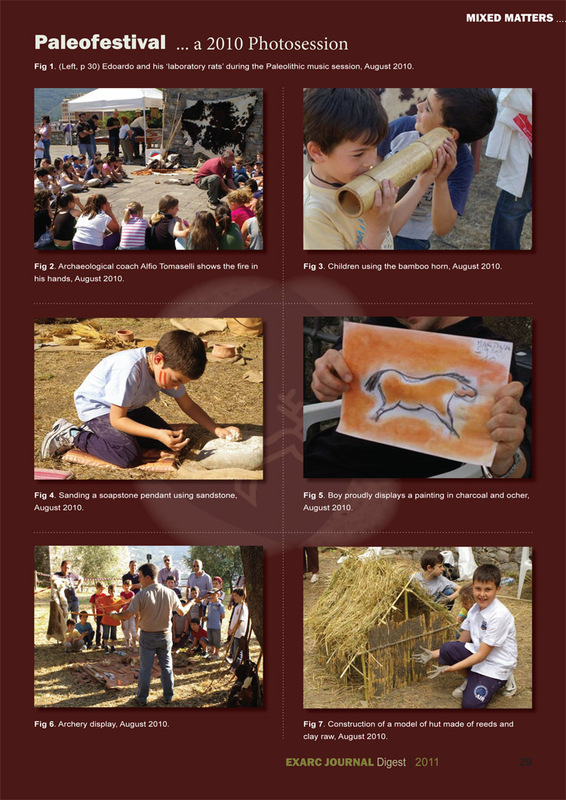 EXARC has had a Journal since 2004, EuroREA. This has been a growing success. 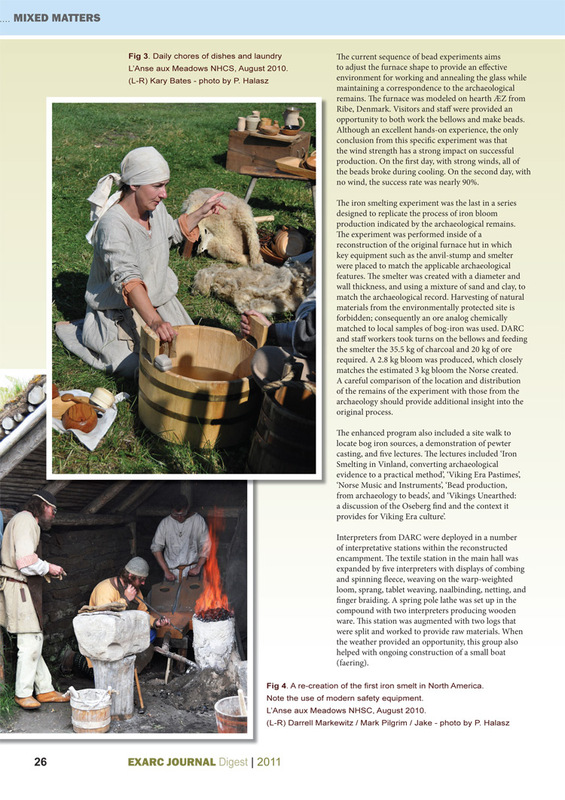 2011, EXARC decided to change its format into both an online and offline Journal. 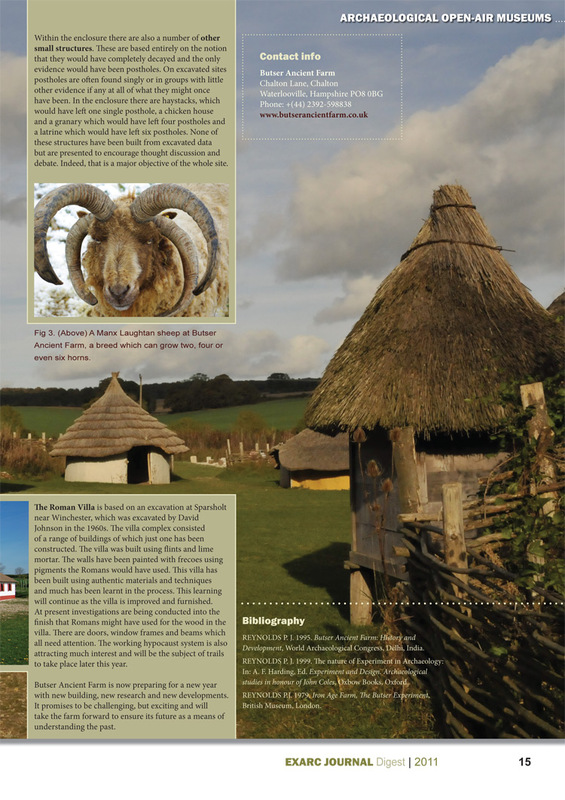 The 2011 printed EXARC Journal Digest is the first copy of our new Journal, a paper version which accompanies our online EXARC Journal. 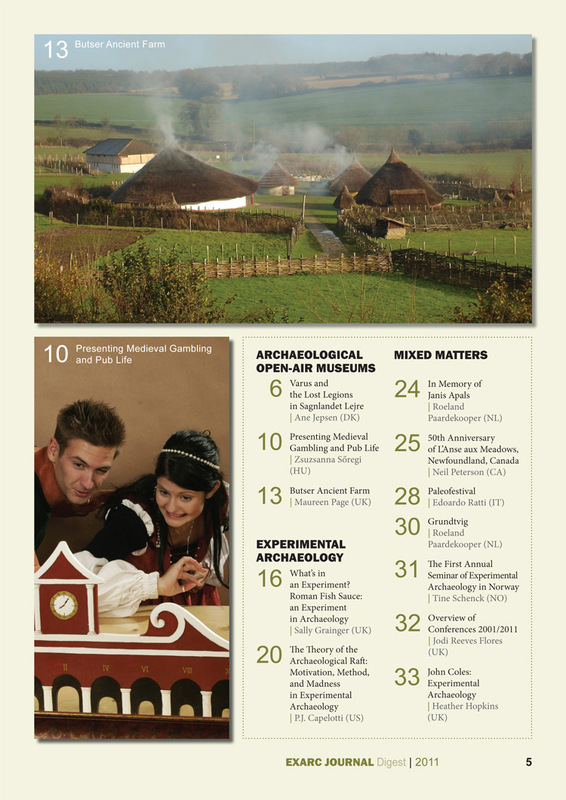 This printed EXARC JOURNAL Digest represents a "best of" articles previously published online. 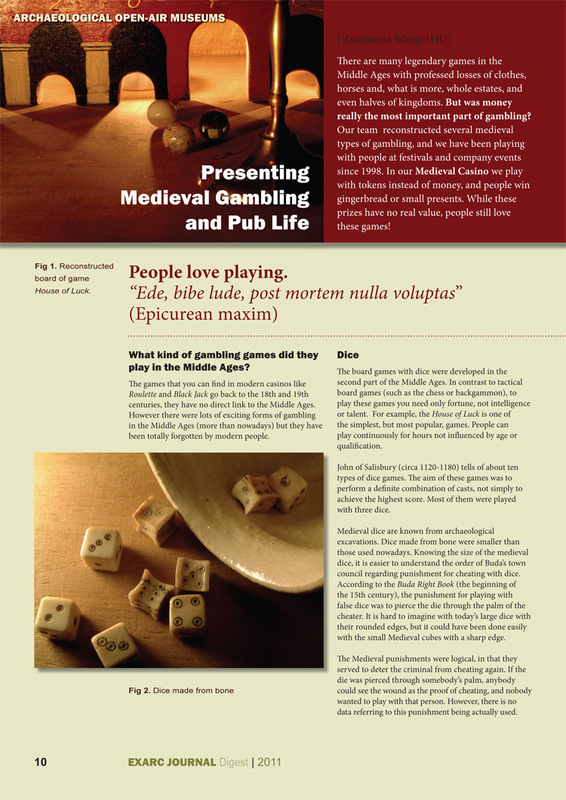 Ane Jepsen (DK) describes an event in Lejre: Varus and the Lost Legions; Zsuzsanna Sóregi (HU) entertains us with medieval gambling and pub life followed by a thorough description of Butser Ancient Farm by one of their directors, Maureen Page (UK). 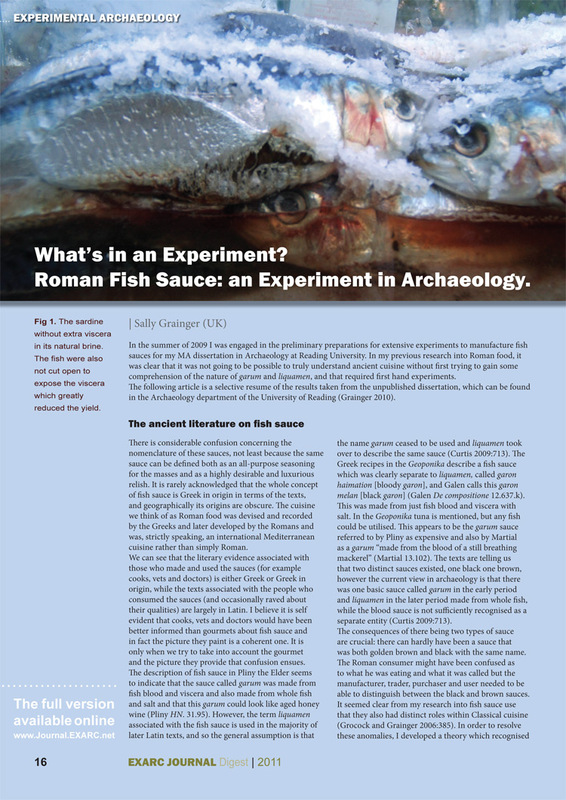 Under the header 'experimental archaeology' Sally Grainger (UK) describes experimenting with Roman fish sauce and P.J. Capelotti (US) discusses the theory of the archaeological raft: motivation, method and madness in experimental archaeology. 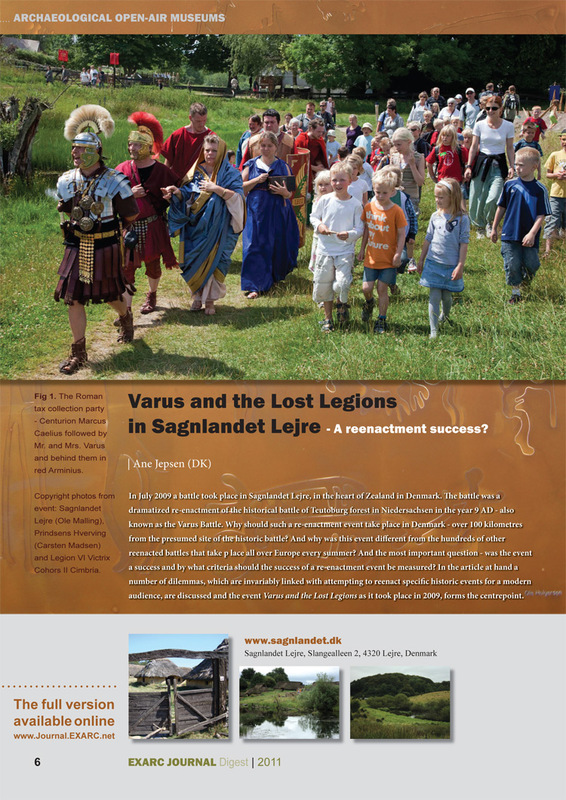 Our non-peer reviewed mixed matters consist of seven short parts: in memory of Janis Apals (LV), a description of the first annual seminar on experimental archaeology in Norway, an overview of a dozen of conferences, a book review of John Coles' Experimental Archaeology and an impression of the Paleofestival in Italy.